I was lucky to be in Paris during fashion week, which of course meant I had to stand outside Grand Palais looking at all the beautifully dressed women, arriving to watch the unbelievably fabulous Chanel show! 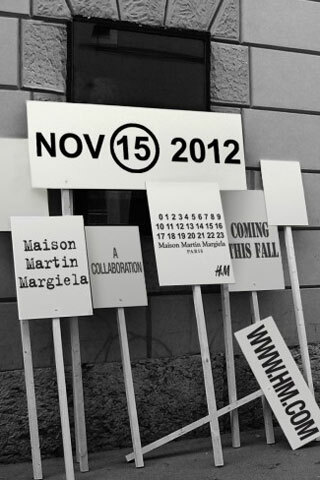 Emmanuelle Alt, Miroslava Duma, Elena Perminova, Gaia Repossi, VIviana Volpicella, Candice Lake, Barabara Martelo and Giovanna Battaglia, they were all there!! I couldn’t complain! 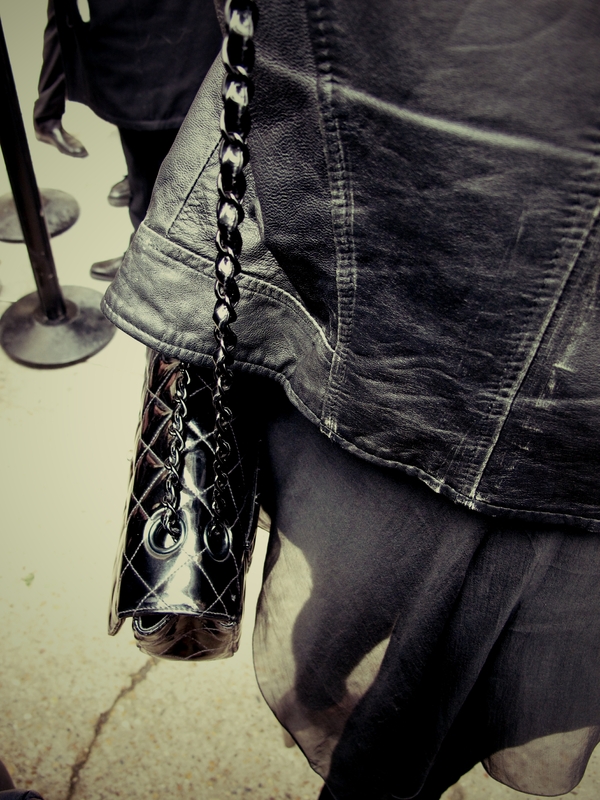 Fashionweek is definitely the best time of year. New collections and tons of street style!!! This show was amazing. Still continuing with his simple and clean designs, Alexander Wang has for his summer ’13 collection pulled his garments apart incorporating fish-line embroidery and leather to his designs and created a structured yet wearable collection. Wow! 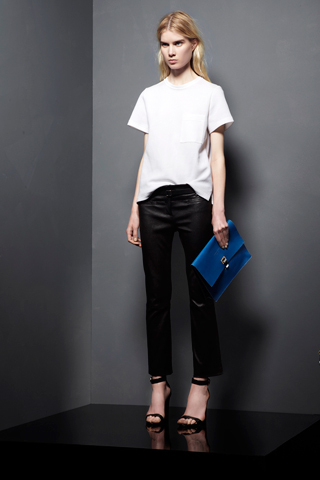 Two of my favorite looks from Proenza Schouler Resort, yet again Jack and Lazaro have created an amazing collection! 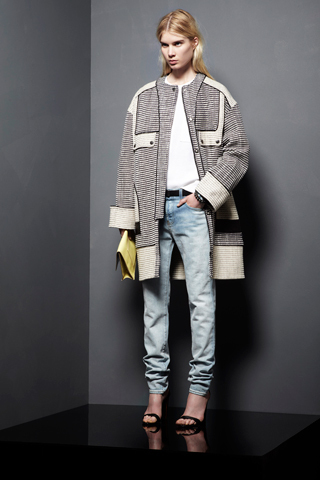 In love with the coat, the strappy sandals, jeans and leather trousers! Extremely cool and wearable! 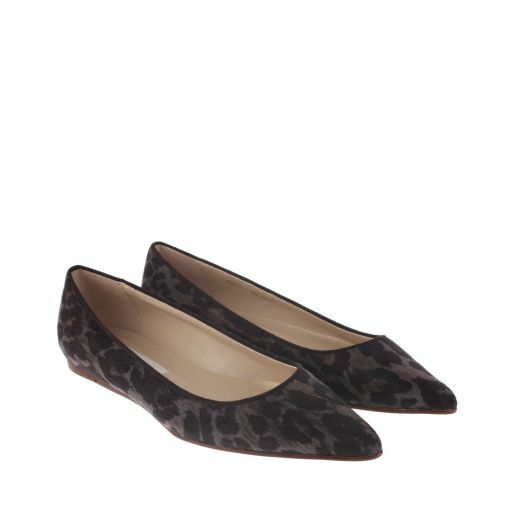 Dreaming of these Stella McCartney leopard ballerinas!! 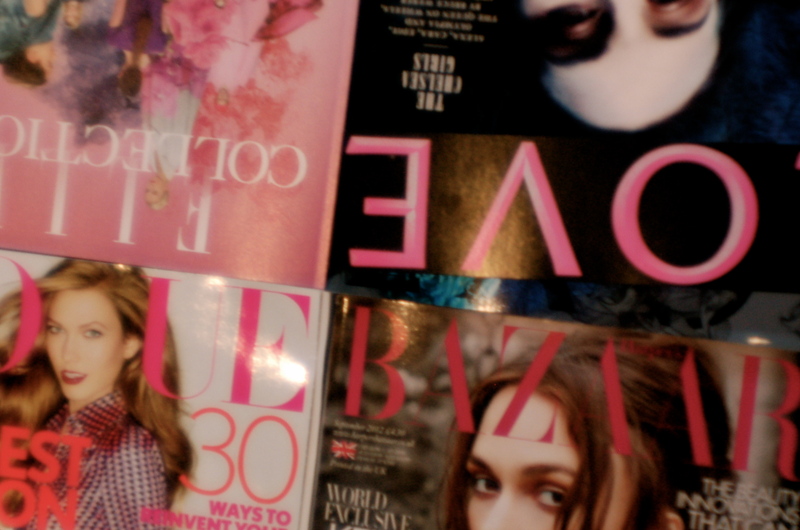 Continuing on to a new season, the September issues are larger, thicker and more inspiring than ever before! The inspiration pouring out already at page one, giving us a slight itch to pull out our sweaters and boots. The campaigns and fashion features show us what we will be seeing a lot of this autumn with florals, leather, oversized hats, jackets and trousers, mannish tailoring and velvet filling the pages of the glossy magazines.